Hi friends! I know that fall is right around the corner, and we’re all thinking about how we’re going to decorate our houses for the season. 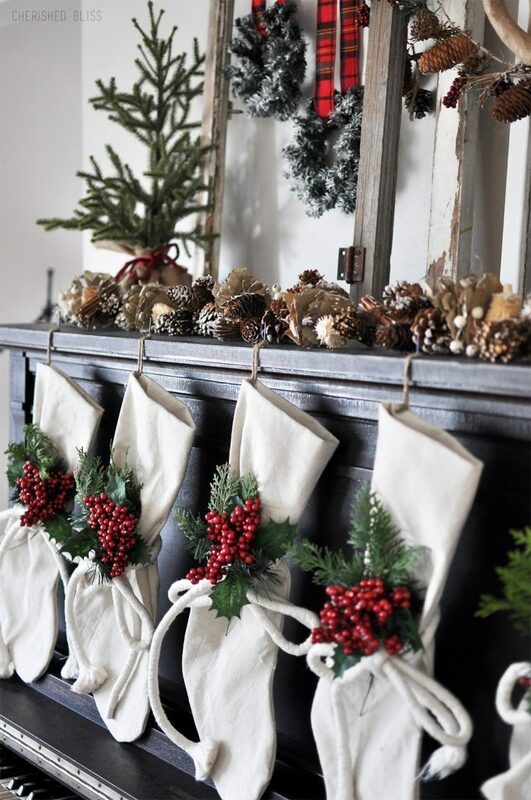 Mantel decor ideas are spinning around in my head too. 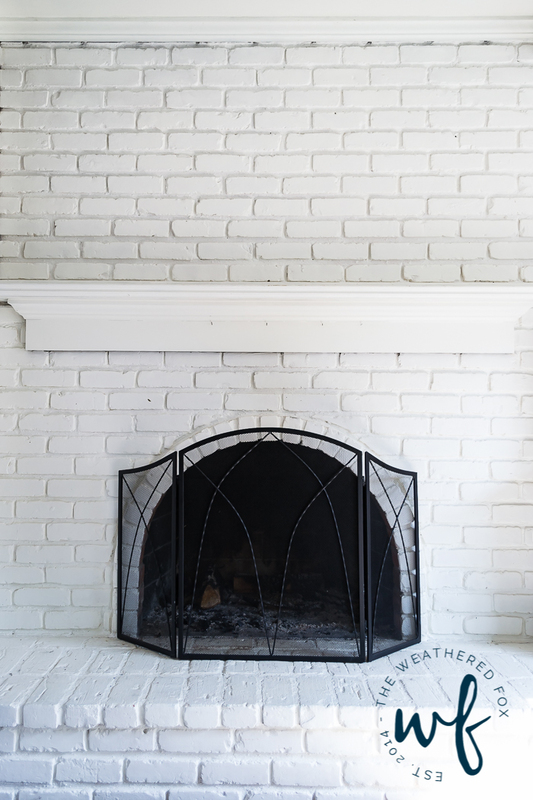 So I wanted to share some tips with you on how I’m able to decorate my mantel each season without spending a ton of money. 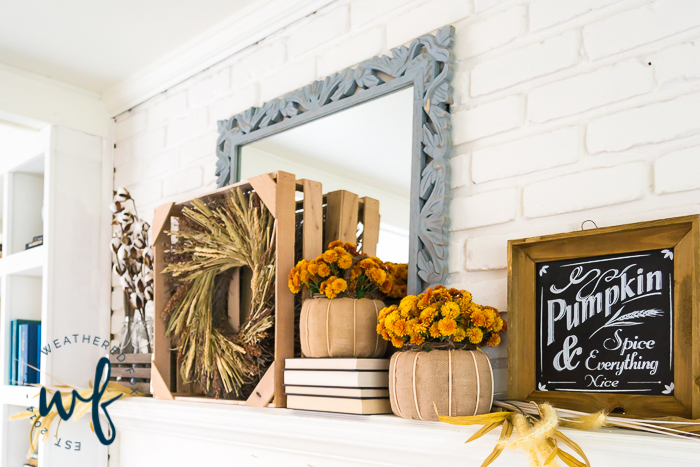 If you’re anything like me, you spend entirely too much time at the start of every season on Pinterest or flipping through magazines to get ideas for decorations. At first glance you are just awestruck at the beauty, and the perfect placement of every design detail, the layers, the loyalty to the holiday. 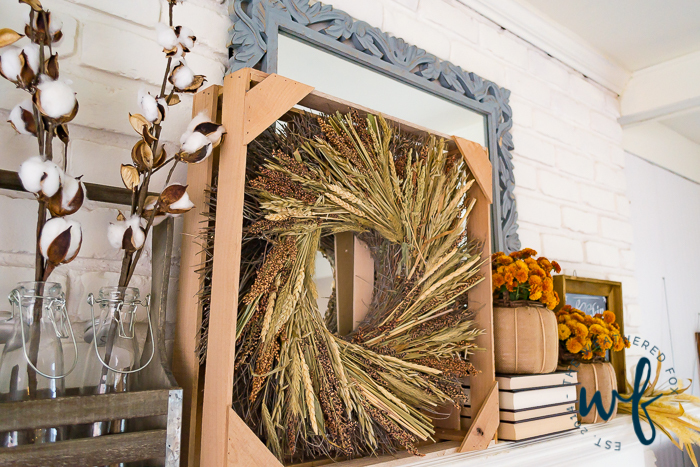 And if you’re anything like me, you consider heading out to stock your house with everything you can find for that season so that by the end of the day it looks like Autumn (or Christmas, or Spring, or Summer) threw up in your car. Your brain chimes in and reminds you that everything is full price and you should totally wait until the end of the season to buy stuff… and you know you won’t actually do that. 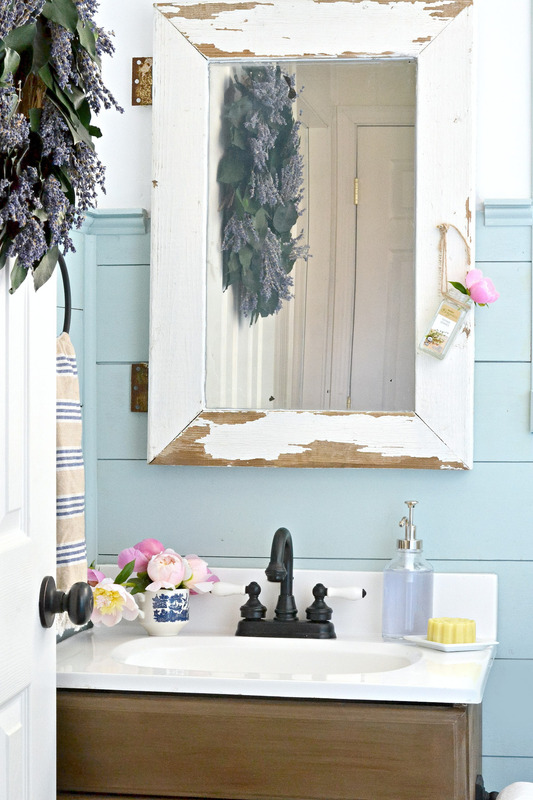 I tend to gravitate toward neutrals, shades of blue, and wood tones. So when I buy new items for holidays, I look for pieces that match that style. Decorating is much easier when your pieces can be used in multiple areas of your home. This is a major reason why the first tip is so important. You will save a ton of money if most of your items can be used in multiple seasons. Not only that, but you have less of a problem with storage! I tend to keep most of my pieces out the whole year and move them around the house in different places to mix it up. When the seasons change, I’ll bring out a few seasonal items that can compliment my every day pieces. 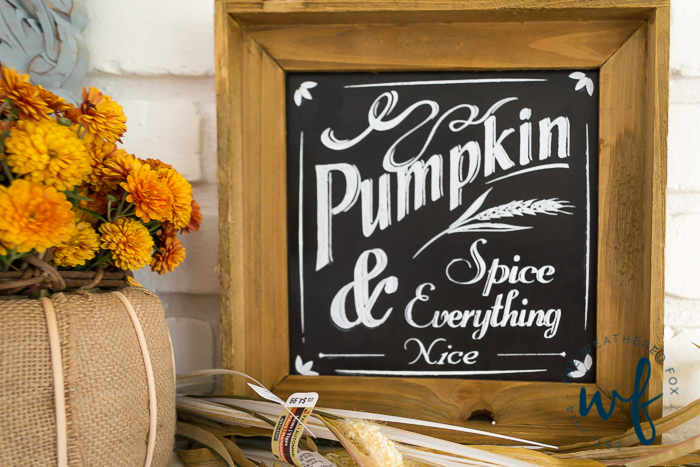 This Chalkboard is the perfect addition to my fall mantle, but the art can be changed with the seasons. When I do actually remember to shop the end of season sales, I tend to miss out on the good stuff. I started to shop mid-season. Stores tend to put seasonal decor out for sale long before the season starts, so by mid season they have a ton of stuff already on sale. I just went the other day and bought everything for my mantel between 50 and 70 percent off. And I still have two months to enjoy the decor. And don’t forget about thrift stores! They typically have a seasonal section to rummage through for some good mantel decor ideas. I know, that seems counter-intuitive for a money saving tip, but it’s true. If you want to create the mantle that you see in magazines, you have to buy far more than you will need. 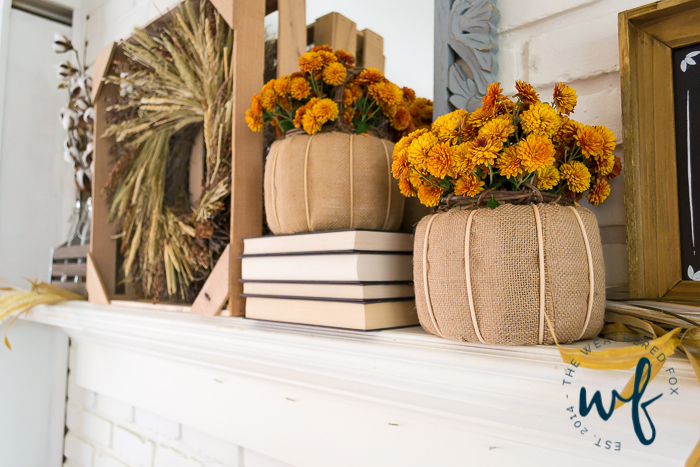 Most of my mantel decor ideas come from playing around with different items until I get the look I want. Stylers always bring a TON of stuff with them because you never know what’s going to work. 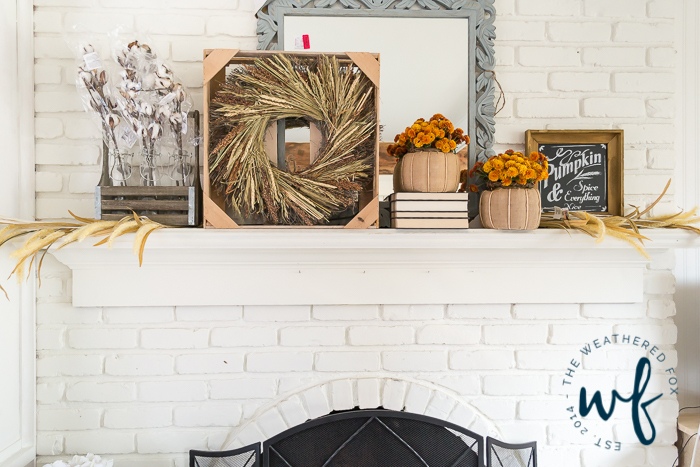 You might be in the middle of decorating and then realize that something is missing, or that this piece just doesn’t look right in that space and you need something else. And what doesn’t work in one space can be used in a different room or can be taken back to the store. Because I’m saying buy more than you need, decorate with the tags on! It makes for an easier return if necessary. If you follow tips 1-4, you will always have items that can be moved around to create new scenes in your home. 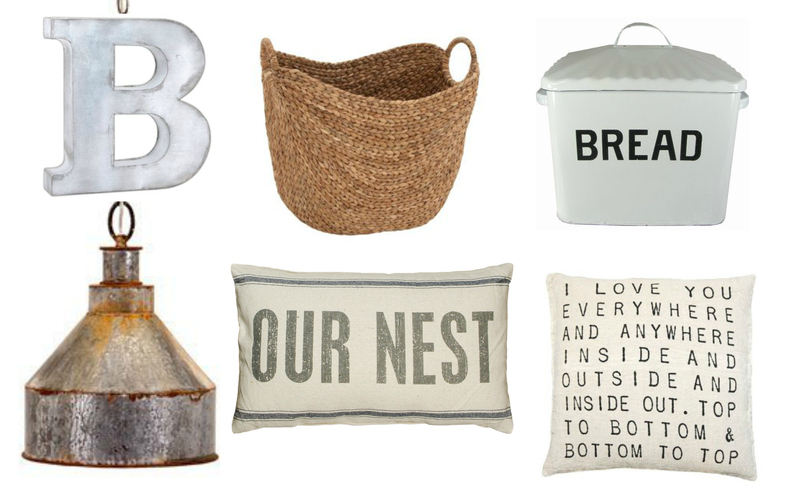 But don’t just look at decor-specific items! Look in your garden for fresh cut flowers and foliage, or in your cabinets for glasses, vases, jars that can be put to use. Books make for an easy height change. 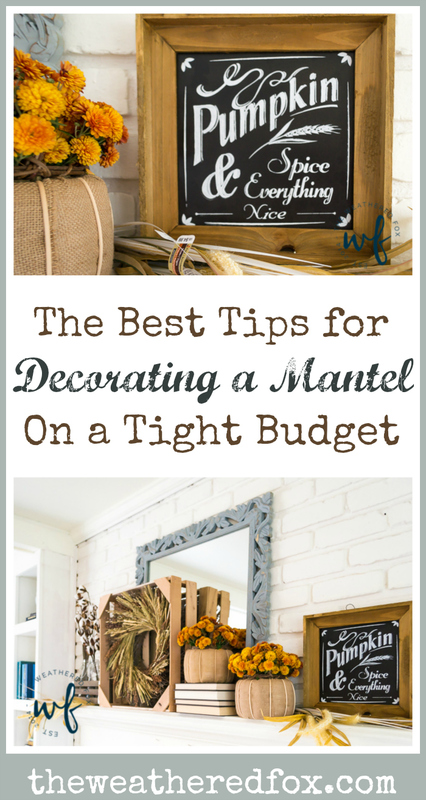 Yes, I spend way too much time searching for mantel ideas! I want to give mine a makeover. Thanks for the tips. Thanks for sharing your post at the #HomeMattersParty. Hope to see you link up again this week – the party post goes live on Fridays at 12am EST. 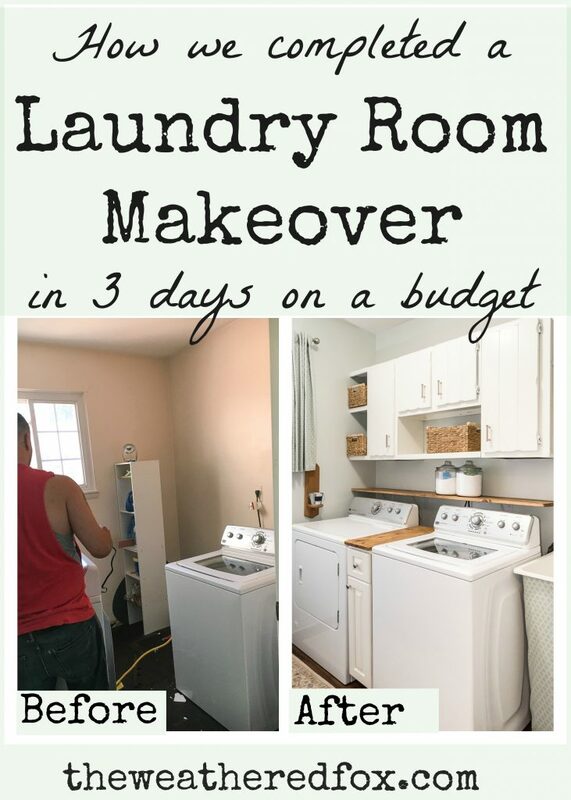 So many great tips, I love decorating but I surely don’t like the price of some of the items I see in stores (I’m cheap like that 🙂 LOL ) Thanks for linking up to Waste Not Wednesday Link Party! 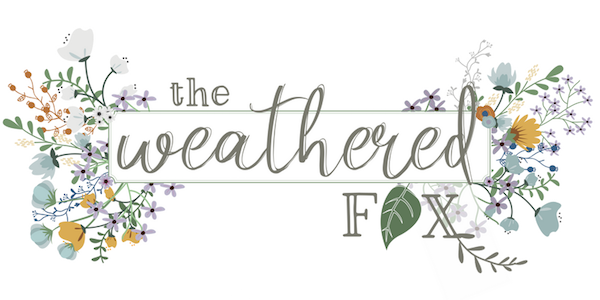 I love decorating each season, and it’s even more fun if it’s budget friendly and I can reuse it for the next season with adding a little twist or extra something to it! 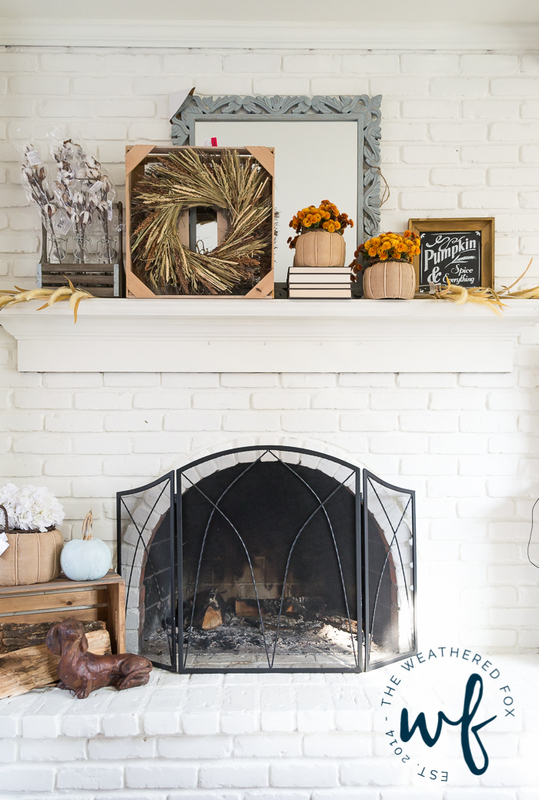 Great ideas and your mantel looks so lovely for Fall!